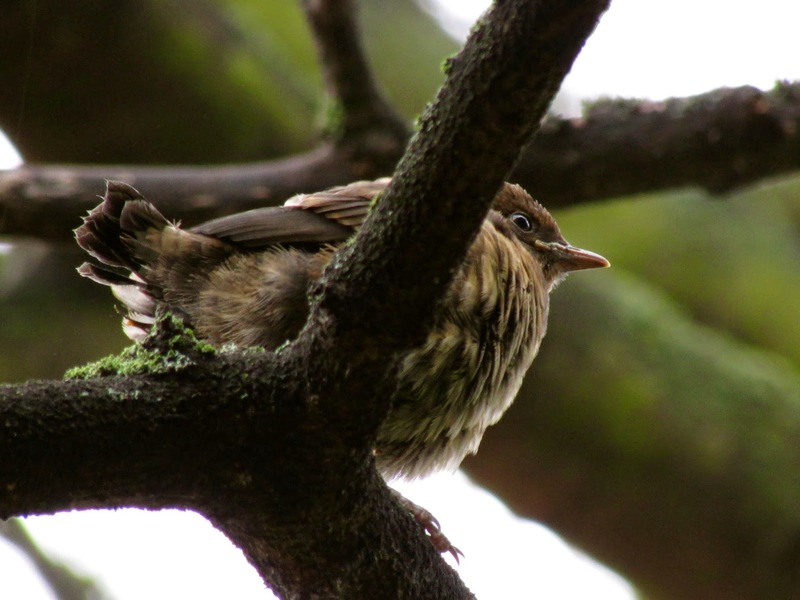 In the last couple of days I've come across a number of resident species with fledglings. 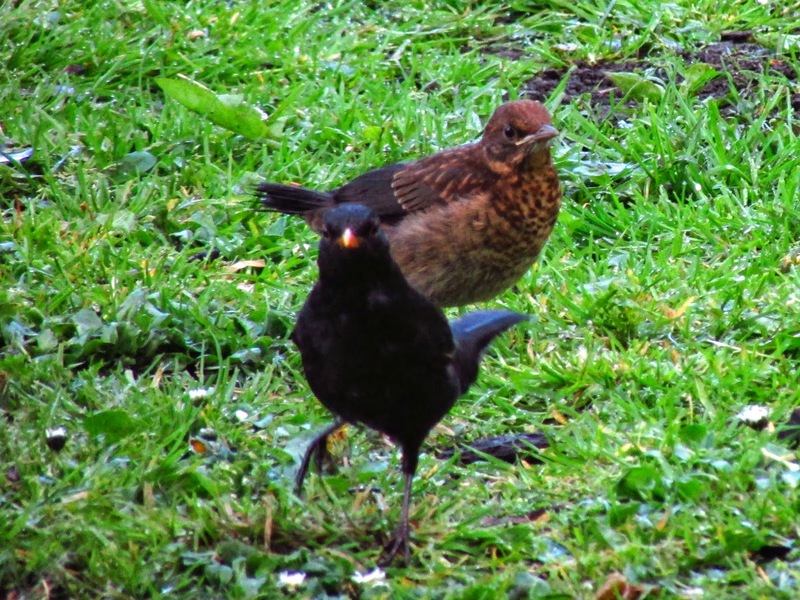 Blackbirds were first, a short-tailed adventurous chick calling for food in the park, last week (below) and today (above) a Robin yesterday and a Song Thrush and Dunnock today. 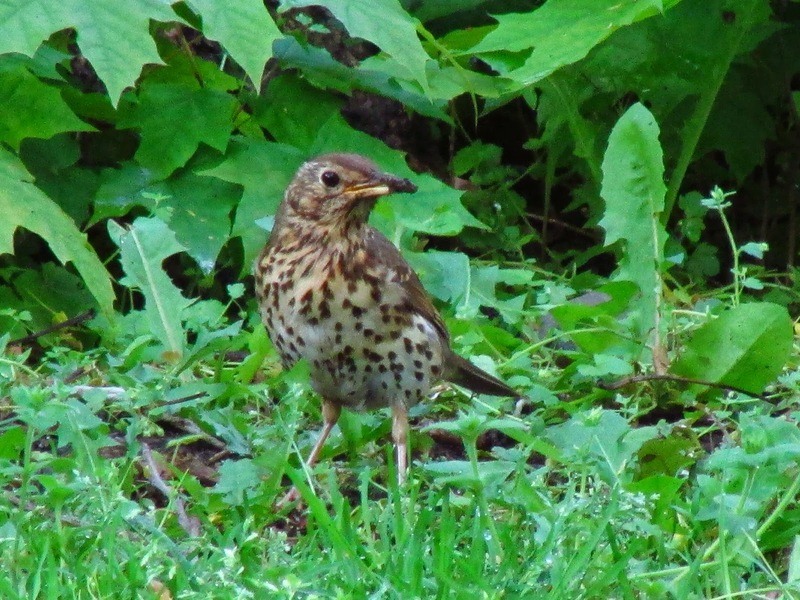 As the youngsters jump from the nest, they have to face a steep learning curve, they are more or less naive to predators, so in these days between fledgling and independence from parents they need to learn about them and also perfect their foraging skills, usually while they follow their parents, begging. 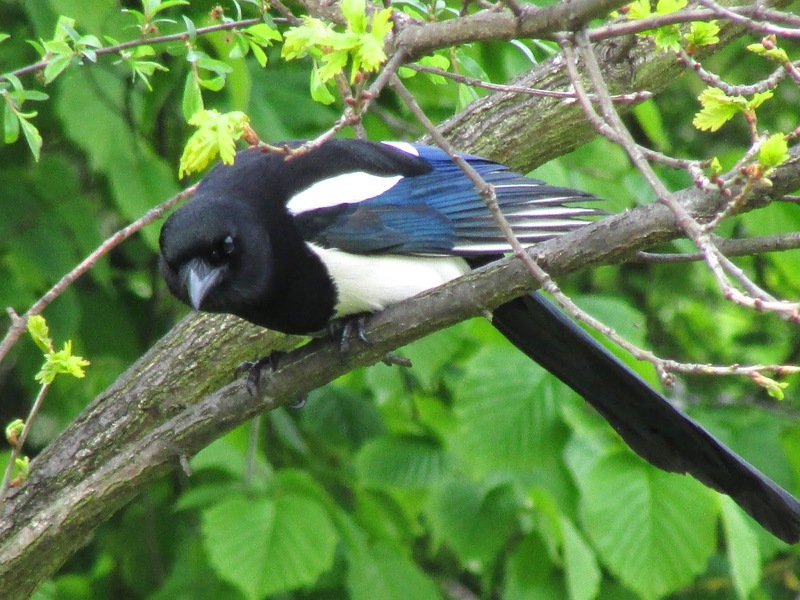 Magpies and Carrion Crows start showing an interest on trees and bushes, listening for calling chicks, so the alarm calls of the adults, associated to the different predators are part of the learning process. The first mallard brood in the park has already disappeared, probably due to predation by Herring and Lesser-black backed gulls. 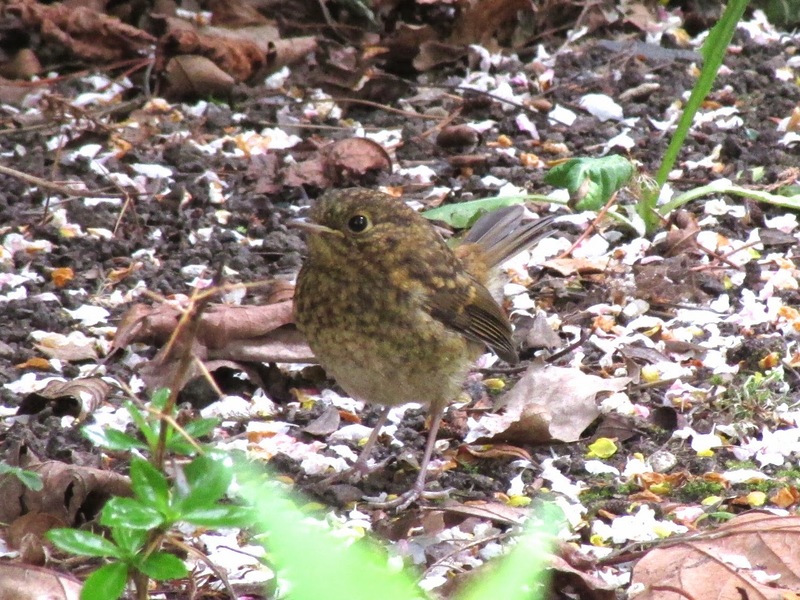 Blackbird fledgling, 29/04/2014, from the same brood as the top photo, today. 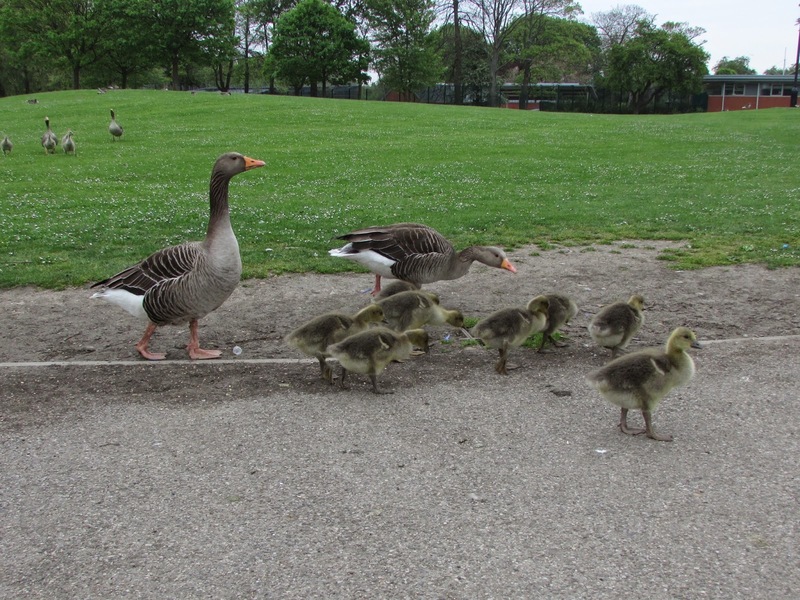 These goslings from a local park already show a great interest in people, usual food providers here. 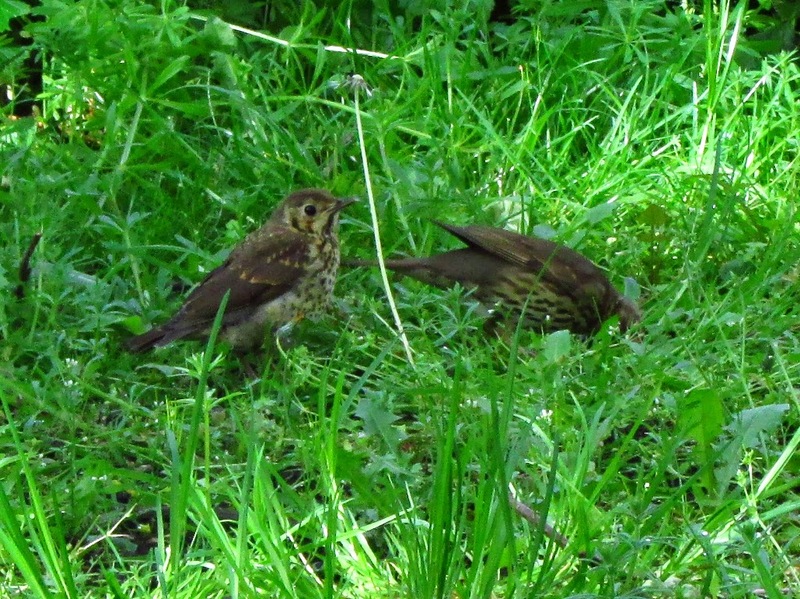 Young Song Thrush fledgling and busy parent. A Magpie in search of nests or young birds in the undergrowth. 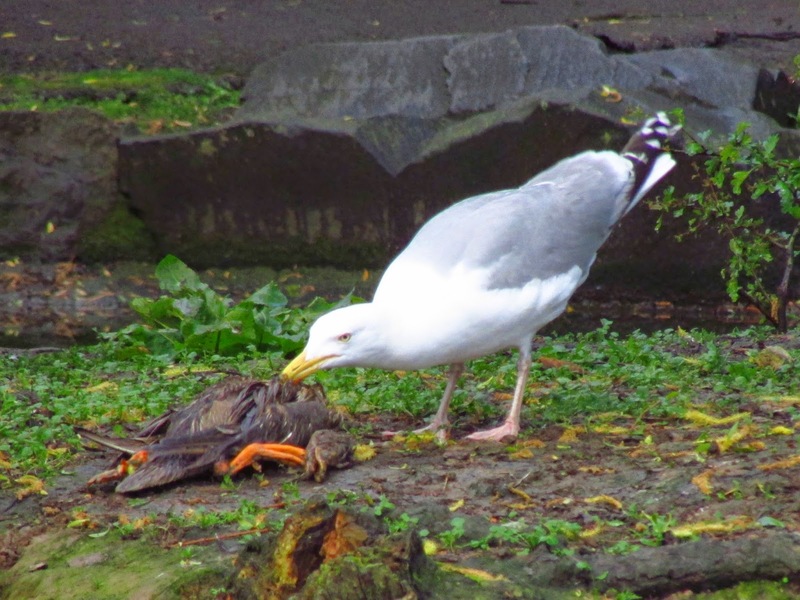 A Herring gull in the park having mallard for breakfast this morning. 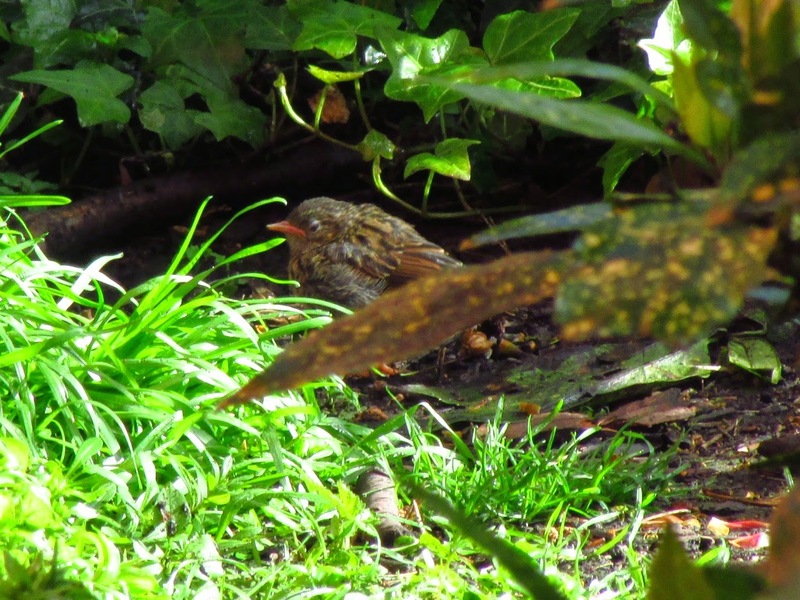 Fledglings already! What a lovely sight they make. I know that some have to be sacrificed but I do wish it wasn't so.